Dry eye syndrome, also called keratoconjunctivitis sicca, is a frustrating problem for many people in the Los Gatos, California area. 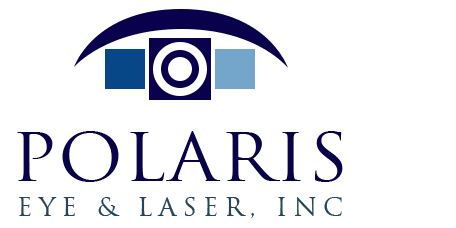 Dr. Jeehee Kim at Polaris Eye & Laser offers effective dry eye treatment that allows patients to put the dry, itchy, and burning eyes in their past. Dry eye is a condition that happens when the thin layer of tears (the tear film) is not present in the eyes. The tear film is responsible for protecting the eye surface and helping to keep the vision clear. Dry eye symptoms show up in different ways. Many people who have dry eye will have redness, discomfort, or even watery eyes when they suffer from dry eye syndrome. While watery eyes may seem like an odd symptom for dry eye syndrome, the tears generated when eyes water are not normal tear film but are rather a reaction to the pain or irritation caused by the dryness. Many people who suffer from dry eye syndrome experience sensitivity to light, as well. In more severe cases of dry eye, blurry vision can occur. Why Do People Suffer from Dry Eye? Dry eye can develop for a number of reasons. As people grow older, they are more likely to develop this condition. People who wear contact lenses may become sensitive to dry eye symptoms and are more likely to require treatment for dry eye. People who suffer from allergies may also be more likely to have dry eye. Dry eye is also a symptom of some eye diseases, such as Sjogren’s syndrome, so it is very important that patients get checked if they experience dry eyes on a regular basis. Ectropion, a condition that causes the eyelid to turn outward, causes the inner surface of the eye to be exposed to too much air and may result in dry eye. What is the Treatment for Dry Eye? Treatment for dry eye is customized based on the patient's symptoms and the underlying causes of dry eye. Many patients achieve dry eye relief with prescription eye medicine that stimulates tear production. For others, prescription eye drops resolve symptoms by restoring a proper tear film. An ophthalmologist can place a miniature plug designed to stay in the punctum, the small hole that drains excess tear fluid from the eye, so the eye surface will retain more moisture. In other cases, a patient may need a minor surgical correction that will allow the eyelids to function normally. This, in turn, will keep the eyes properly lubricated and end dry eye symptoms. 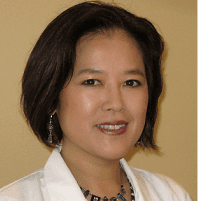 Dr. Kim will recommend and perform treatments right for you.